A comprehensive and innovative range that meets all the needs of the Professional or DIY user to prepare, repair and finish multiple substrates. 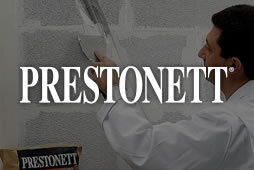 Prestonett : For over 20 years PRESTONETT® in powder or paste, has been the Professionals reference for substrate preparation products, offering a high quality and efficient solution for all types of work from repairing, leveling and finishing substrates. 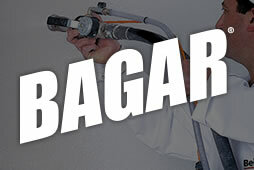 Bagar : BAGAR® is the No. 1 brand in France and a leader in Europe for ready to use mechanically applied plaster for internal walls & ceilings. BAGAR offers an innovative range which is quicker, easier and more efficient than traditional methods of plaster walls & ceilings. 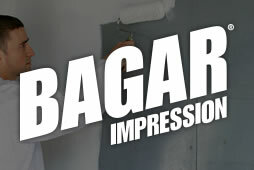 Bagar impression : BAGAR IMPRESSION® is a complete range of primers, sealers and specialist decorative finishes. The range of primers & sealers regulates problem substrates before the use of other PRESTONETT & BAGAR products.